Women’s Celebration Conference is a platform for conversation, understanding, and solidarity among women of faith from different backgrounds. 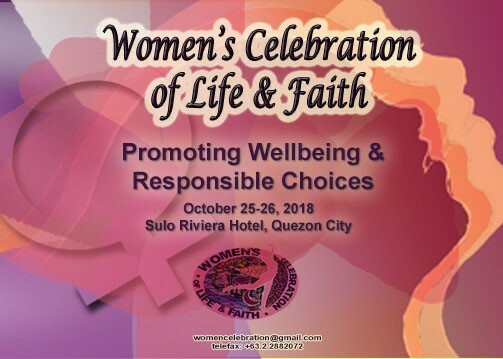 Our socio-economic, political, and even religious affiliations may differ but we come together every two years to celebrate our unity and bonding as women believers of the divine. In challenging times, women kept their faith and hope alive and do what is best for themselves and for others. We believe in the power of our lived experiences of struggles and triumphs as a wellspring of wisdom to guide us through our life’s journey. We believe in the transformative potentials of empowered & discerning women who make responsible choices for themselves and for their families. We believe in the solidarity and sisterhood, a community of supportive women who provide strength when needed. We believe in love and hope that inspire and nourish our dreams of a dignified and fulfilling life for all.